The fantastic steampunk adventures of the future science fiction writer and his friends, the Foggs and Passepartout. A young woman decides to get even with her abusive boyfriend. In the Wild West of the 1800s, a gunman is hired to take a group of emotionally-challenged people across the desert. Anthology series of stand alone episodes about Americans in Paris and the sometimes tragic and sometimes uplifting relationships, trysts and loves they find there. Inventing the future. Battling to save it. Phileas Fogg: We have to get him out of there. Passepartout: But the whole battlefield is covered with rushing bullets, master. Phileas Fogg: True, Passepartout, but besides the point! "The Secret Adventures of Jules Verne" is not a show ruled by conventions. It strays far from the formulaic scripts that seem to dominate network television. After all, when was the last time you saw a show that dealt with rocket-powered Victorian vampires, mechanical gunslingers, time travel and the Holy Grail? Is it science fiction? Is it fantasy? Is it action/adventure? Is it historical drama? Is it camp? All of the above? I don't know. What I do know is that it is refreshingly different. 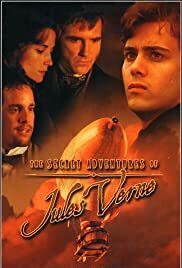 Granted, Jules Verne ain't Shakespeare, and the first few episodes had more than a fair share of "cringe" and "wince" moments. However, the interesting plots, complex characters and fantastical gadgets kept me coming back. 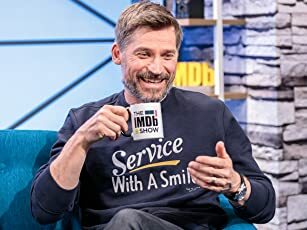 Thank goodness, as the show has done nothing but improve. The characters (and actors) really seem to be hitting their stride. What a combination: The angst-ridden Phileas Fogg; his daring, dynamic secret-agent cousin, Rebecca; the erratic genius/ funnyman, Passepartout and the young, idealistic and accident-prone, Jules Verne. Add escapades all over the globe (and through time) and you've got endless possibilities for adventure! Furthermore, in a medium which too often relies on gratuitous violence and vulgar language for cheap thrills, "Jules Verne" is one television show the whole family can watch and enjoy without having to worry about R-rated content. So, if you are seeking something outside the mainstream, something alternately brilliant and cheesy, something both humorous and tragic, something clever, cryptic and occasionally outrageous, this may be it!